Labels: Recipes, World Food and Cooking Events Posted by Yann_Chef on at 10:53 a.m. 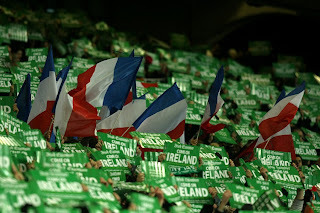 Despite our football history, greatfood.ie and sopexa are celebrating the French apperitif way of life. Visit the L'Aperitif section on www.Greatfood.ie or on Facebook (www.facebook.com/aperitifalafrancaise) to get some superb, yet simple, French recipes. If you live near an outlet of Donnybrook Fair, pop in during July to pick up any of the French ingredients required for the recipes, check out their price offers, enjoy the free samples and enter their great competitions. Or why not sign up to one of their special L'Aperitif events taking place in The Cookery School (learn how to make French cocktails and canapes) and The Restaurant at Donnybrook Fair, Morehampton Road (special 4-course French food and wine dinner) on 21st and 27th July respectively. There's a vast array of French food and drink products involved in this year's L'Aperitif a la francaise celebrations ranging from plums, melons, tomatoes, cheeses, ham, chocolates and jams to wines, lemonade and mineral water. Sponsors include Barton & Guestier, Febvre Wines, Horgan's Delicatessen Supplies, Richmond Marketing and Sheridan's Cheesemongers, as well as newcomers, Donnelly Fruit & Veg and Comptoir du Cacao chocolates. 1. Preheat the oven to 210ºC (415ºF/Gas Mark 6). 2. Put paper cups into a muffin tray or if you are not using them, oil the muffin holes well (use a non-stick pan). 3. Get two bowls ready, one large, one medium. Sift the flour, baking powder and salt into a large bowl. Add the grated Comte and the diced Le Foue ham and stir. In another bowl, lightly whisk the eggs, milk, melted butter and the Boursin together. Add the chives and a good pinch of salt. 4. Make a well in the middle of the dry ingredients and pour the wet ingredients into it. Mix with a wooden spoon to gather everything together (you may not need all the milk). The mixture should be lumpy, don't be tempted to over-mix it. It's meant to be that way. 5. Spoon the mixture into paper cups in the muffin tray or straight into oiled muffin holes. Bake for 20-25 minutes or until a skewer comes out clean (ovens vary so keep an eye on it near the end). They should have risen beautifully and be golden. Leave to cool in the tin for a few minutes, then lift out and place on a rack to cool. 1. Oil a baking tray with a little of the olive oil and preheat the oven to 180ºC/360º/Gas Mark 5. 2. Roll out the puff pastry to a rough circle (about 5mm thick) and place on the baking tray. Cut the Comte into thin slices. Cut the Selles-sur-Cher cheese into small pieces. Lay the cheese over the pastry sheet leaving an inch all round free. Slice the tomatoes and place on top of the cheese. Sprinkle on a little salt and a few grindings of black pepper. Spread the olives evenly. 3. Drizzle olive oil over the pastry and bake for 20-30 minutes or until the cheese is melting and the pastry is golden. Dress with fresh basil leaves and cut into mini-slices. 1. Pre-heat the oven to 190ºC/375º/Gas Mark 5. 2. Butter a small baking dish. 3. Thinly slice the potatoes and line the baking dish with the slices in a circular fashion until you have created 5-6 layers. 4. Mix the cream, a pinch of salt, a few grindings of black pepper and a few gratings of nutmeg together and pour over the potatoes. 5. Sprinkle the Bleu d'Auvergne cheese on the top layer. 6. Bake for about 40 minutes (covering the dish with tin foil if the cheese is getting too brown) or until the potato is cooked (you can check this by piercing it with a knife). Leave to rest covered loosely in tinfoil so the dauphinoise can solidify, then cut into small bite size squares and serve. Note: This dish may also be served hot direct from the oven as part of a main meal, e.g. with roast lamb. 1. Halve the plums and remove the stone. Put the caster sugar and cold water in a saucepan and bring to the boil. Turn the heat down to medium and add the plums, cinnamon, orange zest and vanilla extract. Add the red wine and simmer for 20 minutes or until the plums become soft, turning them once. Philibon Plums come in a range of colours: yellow, red, purple, and have a smooth skin with a bloom and a superbly sweet flavour which means not only does this taste good, it looks great too. Comptoir du Cacao fine single-origin chocolates are made from pure cacao butter in unique flavours. 1. Cut the melon into balls using a melon baller (cut it into neat chunks if you don't have one). 2. Cut the strawberries into quarters. 3. Chop the 6 leaves of mint finely. 4. Combine everything in a large glass dessert bowl or divide among individual glasses. Chill, and just before serving, pour chilled Lorina Pink Lemonade over the dessert at the table so you can see the bubbles! Serve with a glass of Lorina Lemonade on the side for thirsty guests. Labels: Reviews Posted by Yann_Chef on at 11:46 a.m.
A couple of month ago I had to plan a stag night in London for a chef, friend of mind. As you may know it takes a lot of planning. Most of the guys going to the three days trip to London were chef or waiters. So the pressure was on to make sure that the restaurants and pubs that I picked were up to their standard. So, I ask my girlfriend if she knew where to look for the best places. She told me that she came across Qype web-site a while back when she had to check on some information about pubs in London. So, I took her words of advice and log on to Qype to sort out the restaurants and pubs that we were going to visit during our stay in England. I have to say it was very handy. The site had hundreds of reviews and critics under the the tag restaurants London as well as pubs London. I found everything that I needed to know. But the good thing about it was that it was customer review based. Now, it can go either way when it is in that format. Not everybody knows its food or drinks. But I have to say that we did not get much surprises when we got there. Most of the reviews were quite accurate. So I recommend it . I had a quick look around the web to check who is behind Qype.I wanted to make sure that those reviews and critics were genuine and the site was not fed by reviews from books or fed by restaurant owners.This is what I found: Launched in 2005 Qype has become the biggest pan-European local review site on the net. It offers a reliable and fairly intuitive users, reviews and critics, based search engine that allows you to find from restaurants, a place to stay or get pampered, etc. Well, almost everything you'd need to know about more than 15 000 cities around Europe. It is multi-platform too. Qype can be consulted on your pc, mobile phone or i-phone. This is a very handy web-site to bookmark if you plan a trip to Europe or within the old continent. Labels: Reviews Posted by Yann_Chef on at 11:03 p.m. The latest cookery publication by Gill and MacMillan is coming out on the 22nd of May. "Fresh from the sea" by Tv culinary show host and lecturer at the University of Gastronomic Sciences of Colorno (Italy): Clodagh McKenna ; is the base for her new mission: bring back people to fish, dispel the bad memories of heavy, overcooked fish dishes that were looked as a kind of penance. This book brings in a simple and nicely illustrated format, all the tools, basic knowledge about cooking fish and explains the different kinds of fish and shellfish and the fishing industry. It also, offers a wide variety of fish dishes for all occasions to the most fussy eaters as well as the gourmets. I found "Fresh from the sea" interesting and well documented. Italian photographer Alberto Peroli's illustrations are pleasant to the eye and the recipes are simply and clearly described. 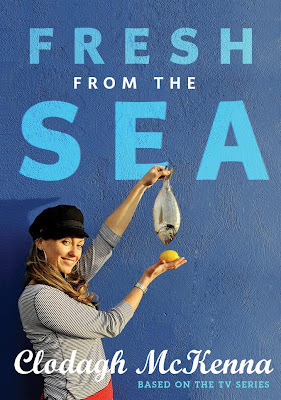 "Fresh from the sea" will be out on the 22nd of May 2009 in all good bookshops and at Buy fresh from the sea. Labels: Unsorted Posted by Yann_Chef on at 8:22 p.m.
You will tell me, this post has nothing to do with food or cooking. In some ways it does. In this article I would like to tell you a little a bit about myself and a lot about a subject close to my heart: Chronic neuropathic pain. About three years ago I sustained an injury to my right shoulder during a pretty hectic dinner service. The place was pact and I was short staffed. Well a classic kitchen's scenario. From this injury I developed a condition called chronic neuropathic pain also known as chronic pain syndrome. The result of this condition leaves me with sharp, burning, stabbing pain sensations in my chest, shoulder, neck, arm and hand. I also have coordination and strength problems with my right hand as well as hyperalgaesia and numness in my arm and hand. Not mentioning that it was the end of my career! 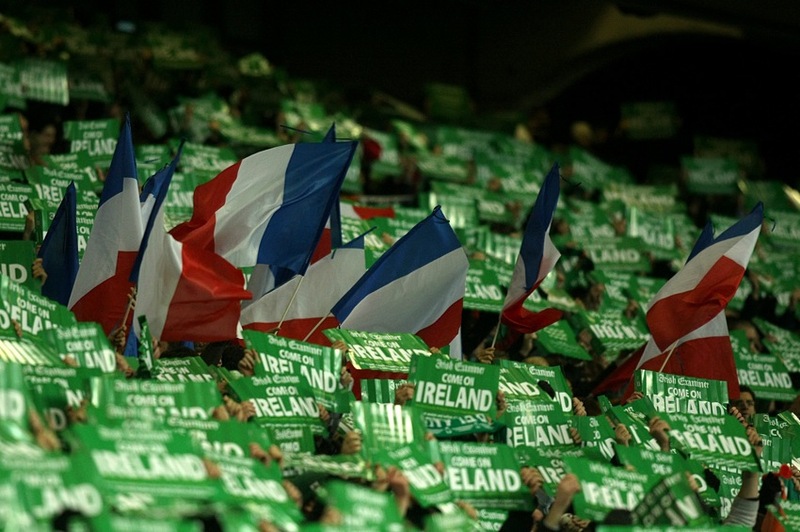 120 000 people in Ireland. suffer from chronic neuropathic pain. There are no cure for this condition but only pain management solutions for the sufferers. So, as I was following a pain management program in January I was told by a member of the pain unit team that the I.C.P.A and Pfizer had launch a writing competition asking chronic pain sufferer to describe what it was to live with the condition and the challenges that chronic pain brought to their life. The five winners, which I was a lucky one of them, had their story made into a short films by three young talented directors and were produced by Jim Sheridan. The following movie is based on my story. It was directed by a young Irish and very talented director: Darren Thornton and produced by Antidote. I hope that it will make you more aware about this condition. Enjoy the "movie". Labels: Questions on cooking, Recipes Posted by Yann_Chef on at 3:43 p.m.
A while ago I had to attend a pain management programme in which as a group we had to prepare lunch together using the few tools that we were taught to help us dealing with our chronic pain problems. To do so, I thought that cooking a dish “en papillote” would be the best option for us. It is simple, quick and manageable even for people with chronic pain who can have serious problems standing, staying in the same position for a long period of time, using their arms or hands. The other good thing with this technique is that it can be prepared in advance and it requires a minimum of attention. So there are the principles of cooking in papillote. The way a papillote works is that all the ingredients cook together, in their own steam, in a casing made of tin foil and parchment. This cooking technique has the advantage to be healthy. To make sure to get it right you must keep in mind how long the main ingredient, which could be meat, fish, vegetables, cooked pasta, cheese, fruits, etc, will take to cook. You will have to cut your vegetables, accordingly and/or part-cook them first. So, let’s say that we are making a papillote containing a chicken breast. A medium sized breast of chicken off the bone and seared will require about 20 minutes of cooking, plus ten more minutes to bring the parcel to the right temperature. During my pain management program we cooked a medium-sized chicken breast with some baby potatoes, peppers, tomatoes, courgettes, shallots, fresh herbs and garlic. So, to make sure that the potatoes would be cooked we had to cut them in three pieces, the courgettes were cut no more than one centimetre thick but not smaller than half a centimetre. The peppers had to be cut in dices no more that a couple of centimetre aside. Now, if we had used a medium size piece of salmon, for example, the cooking time would have been only ten minutes. Then our vegetables would have had to be cut into smaller pieces. Well, I am sure that you get the gist of it. The other very important thing is to make sure that the casing is tightly sealed. So to achieve that you can brush the edge of the tin foil with a little bit of egg white that will seal any gaps when cooking. Failing to seal your parcel properly will lead to the food cooking unevenly, some drying out and/or burning. 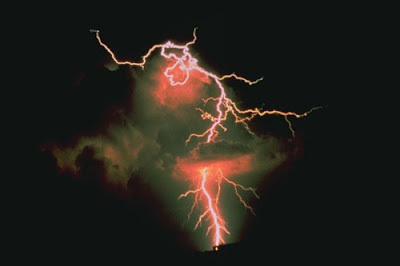 Another problem that can arise is to damage the parcel when manipulating it. So, extreme care is necessary when putting them in the oven. Another little tip is to put a couple of spoons of liquid (water, stock, wine, etc) into the bag before closing it. This will increase the steam into the parcel and allow the ingredients to cook evenly and compensate for any loss of steam during the cooking process. It will also bring its own flavour to the dish. Now, enough talking, more cooking! First, sear your chicken breast until golden brown. Then, slice the courgette in pieces a centimetre thick; dice the pepper in the same way. Finely slice the garlic and shallot. Peel the potatoes and slice them (about 1/2cm thick). Wash the cherry tomatoes. Put your sheet of tin foil flat on a clean surface. Place the piece of parchment in the middle. Place the slices of potatoes on it, then the courgettes and peppers. Sprinkle the garlic and shallots on the top of it as well as the fresh herbs. Season well. Finally, place your breast of chicken on the top of the vegetables. Then add the wine, olive oil and cherry tomatoes. The next step is to close the parcel. Brush a little bit of egg white around the edges of the tin foil. Lift the tin foil length wise and make it stick. Then, start folding it down, tightly 4 or 5 times. You must leave some space for the parcel to expand. So, do not fold all the way down. Cook in a pre-heated oven at 200˚C for 30 minutes. Serve as it is, but before that the bag starts collapsing. Like a soufflé. Use this recipe as an example. Almost everything can be cooked in a papillote, just let your imagination guide you. Organic breakfasts cereals and seeds for coeliacs and diabetics. Organic vegetables and fruits from his farm and a little help from other organic farmers. 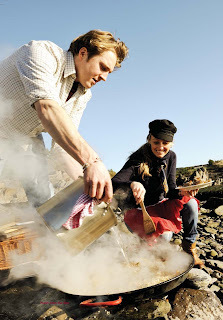 Based in Dereenatra, Schull West Cork Frank offers some of the finest smoked meat on the Island. From handmade salamis to pancetta and chorizo. Worth the try. - Farmer's markets in Cork and Kerry. Tommy Corrigan and his Argentinian wife Karina Gaetani have launched this small milk toffee about 7 years ago, following a traditional Argentinian recipe. For me they make a healthy, natural and very different spreads, dessert sauces or ice-cream flavouring. - 090 645 4776/ 087 270 1472. This is a brand new food store that has just opened about a month ago, on main street Blackrock, Co Dublin. To my knowledge, it is the only shop that offers 100% organic products (and fair trade for most of them! ), that is not an health store, in Dublin. Good choice of food and wines and the choice is still widening. - The Organic Supermarket, 2c Main Street, Blackrock, Co Dublin, open seven days a week.